Our 12ft span polytunnel is great for a larger allotment where you really can grow enough of everything to feed the whole family. 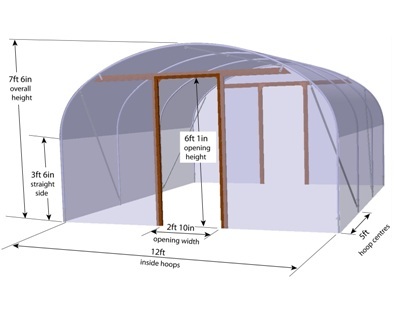 Everything grows better inside a polytunnel so with our 12ft wide polytunnel you can grow quantity as well as quality. This size is also a popular choice with schools.